Salesforce is a revolutionary information platform. It is even better with integration. On its own, Salesforce can dramatically improve how companies run their sales operations, support their customers, and provide products and services to a market. With integration, you can connect Salesforce to other critical business applications for enterprise management, finance, human resources, operations and logistics. 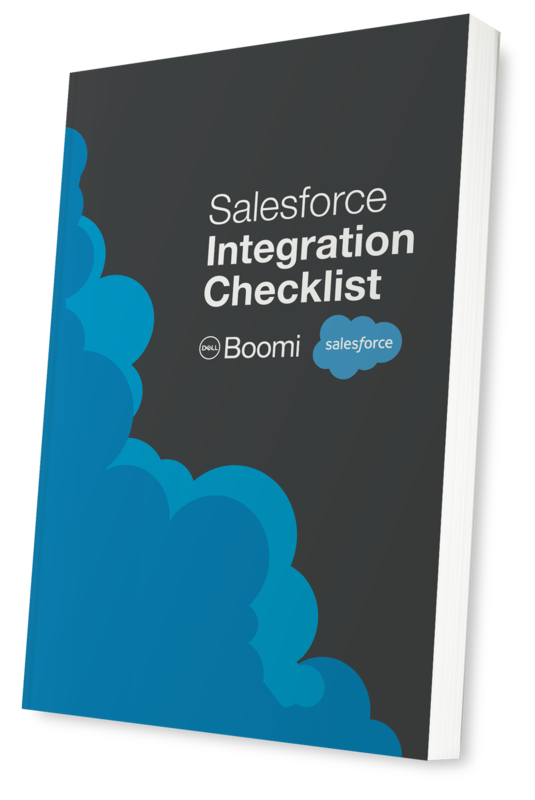 The Dell Boomi ebook, “Salesforce Integration Checklist,” provides an extensive list of issues for you to consider as you plan your Salesforce integration project. How to account for the owners and users of applications and data connected to Salesforce. By integrating Salesforce with other applications, APIs and resources, you make Salesforce even more valuable to your employees and your organization. Our guide offers a wealth of ideas and insights for planning your Salesforce integration projects. Ready to get started? Download the ebook, “Salesforce Integration Checklist,” today.